Math Southam will lead a circular morning walk from Kestle Barton on Thursday 30 May, starting at KB at 8am. The walk will last approximately two hours and pass through a variety of habitats identifying and noting the different species present through sound and vision. The two and a half mile walk will follow footpaths around Kestle Barton and Helford and involve climbing a few stiles, occasional muddy tracks are also likely to be encountered. There will be a maximum of eight places on the walk to ensure that everyone is fully involved in the shared experience. Math Southam is a teacher and ornithologist who has spent the past 35 years birding in the west of Cornwall. He is a regular contributor to the BTO (British Trust for Ornithology) BirdTrack project. 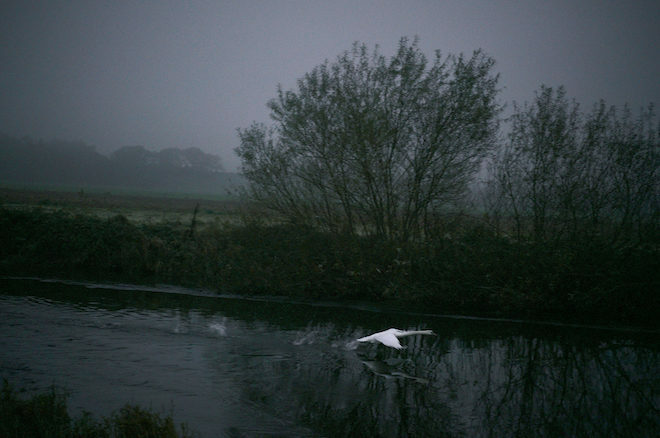 Jem Southam will lead a walk from Kestle Barton during which he hopes to discuss approaches to photographing landscapes. The genre of ‘Landscape’ has gone through a period of significant transition during the past forty years, stimulated in part by a growing understanding of just how complex our relations to the places we live in and walk through are. Participants are invited to bring both cameras, thoughts and questions. Email info@kestlebarton.co.uk or phone 01326 231811 (after 1 April) to book a place on the walk.